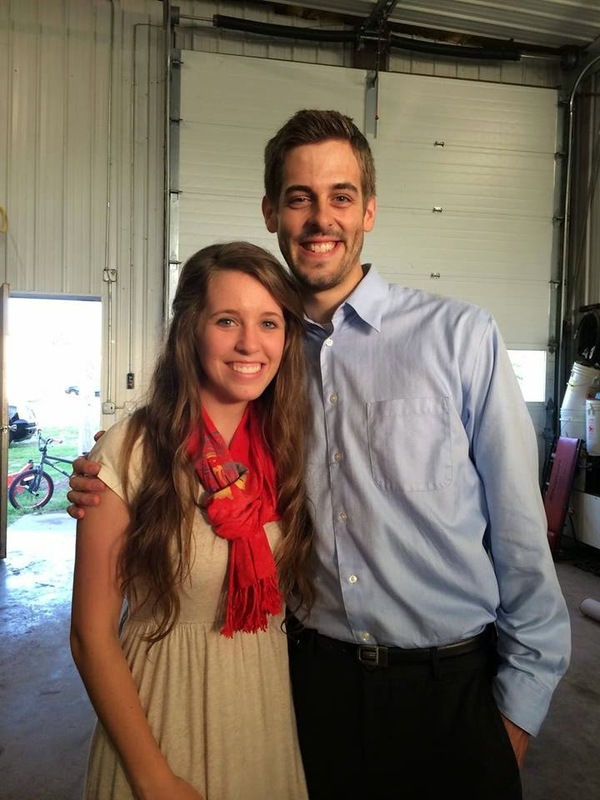 From 8:30-11:30am this Saturday, August 16th, Jill (Duggar) Dillard and husband Derick Dillard will be at Friendly Chapel Church of the Nazarene in Little Rock, Arkansas. Meet and greet the newlyweds, and hear the couple discuss issues they have faced and share how God has been working in their lives. Are you single and wondering how to guard your heart? Are you looking for encouragement and practical suggestions on how to stay pure? Do you wonder how Derick and Jill got to know each other before marriage and how you can get to know a certain girl/guy to see if they are potential marriage material? Are you a parent looking to encourage your teenagers towards godliness? Are you a fan of 19 Kids and Counting who has always wanted to meet a Duggar? Then this event is for you! Doors open at 8:30am. Derick and Jill will begin speaking at 9:00am, followed by a Q&A session and meet and greet. No tickets necessary. The event is free and open to the public, but attendees are advised to arrive on time. Friendly Chapel Church is located at 116 S. Pine Street, North Little Rock, Arkansas 72114.
something tells me the church is going to be packed! they are such a sweet couple and will surely impact the lives of many young people. i hope, with derick & jill's permission of course, that tlc will follow them apart from 19k&c, especially something aimed towards young couples/newlyweds. we need more positive roll models on tv! Very nice picture of the two of them. They look happy and content. I wish I could meet them but I live too far away. Hopefully their will be more pictures and maybe a video to see. For those of us who can't make it out there , will there be a video recording!? It is a good thing to decide to abstain outside of marriage. The keeping yourself pure is not a great phrase. We have found with victims of abuse like Elizabeth Smart that this is damaging. Abstaining is a decision. Purity is too confused with a state of being. Elizabeth Smart felt her worth diminished. That is not what we want or intend when we promote chastity. Are you going Lily and/or Ellie? This is one way to get a crowd into the church! I hope there will be a picture or video of that event posted. is it only Jill and derrick or the whole family? Oh, I wish I lived close and could attend this event. I bet it will be so much fun to get some more info about their relationship. Such a sweet example they are! @kms- Well said, completely agree! Unfortunately, we will not be able to make it to this event. Thank you for sharing & it would be great to attend. I am so happy for both of them and very glad they have started their life journey together. Derrick planned and had a good education behind him to provide and care for Jill. There is a lot of sincere and deep maturity in their commitment and I feel it is wonderful they can share such positive views of life with others to offer guidance and set a loving example of life, marriage and loving devotion. I would like to be there but with an older car and given the crime rate in North Little Rock it seems risky. I do wish they would do this open to the public in the Springdale area where I live as I would love to hear them and it is so close to where they live. Please Duggars do something in the area you live in for us. Congratulation Jessa and Ben! All the best to you both. I would like to ask, however, since you and your family have such a huge youth following, if you can talk how you and Ben will manage financially. Your family has been blessed with much but these young ppl that may not have the same advantages will think that getting married is easy and fun. Unless you and Ben and Jill and Derrick some how address this, they will distorted view of how a marriage works. This fan, here, is so thankful and greatful that your family is witnessing to the world, basically. Can't wait to see the new season. Please post this comment and some how let me hear back from some one from your blog. Thanks!